News > 2016 > BBA student Audrey Couture takes the helm at Manuvie for a day! BBA student Audrey Couture takes the helm at Manuvie for a day! 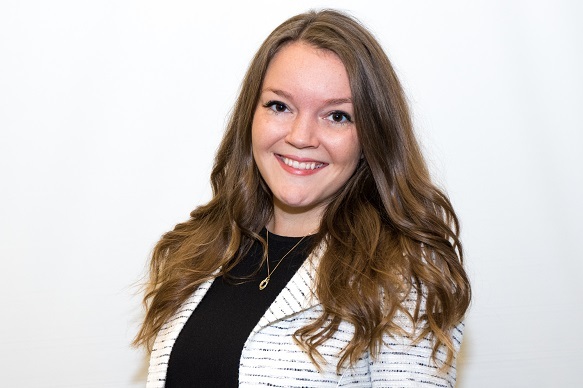 Congratulations to BBA student Audrey Couture, who will be shadowing Charles Guay, President and CEO, Manuvie Québec, and Executive Vice-President, Institutional Markets, Manulife Canada, as part of the CEO x 1 Day program organized by the Odgers Berndtson firm! Participating students had to undergo a strict recruitment process, starting in October 2015 with an online assessment of their leadership potential, followed by a telephone interview. The final step in the selection process was a half-day interview by Odgers Berndtson and its partner McKinsey & Company, during which the students took part in exercises and workshops to evaluate not only their relationship-building and communication abilities, but also their teamwork and problem-solving skills, and their ability to think on their feet. Only 18 students across Canada ended up being selected for the program. In other words, they are considered Canada’s most promising future managers!